Looking for a job? 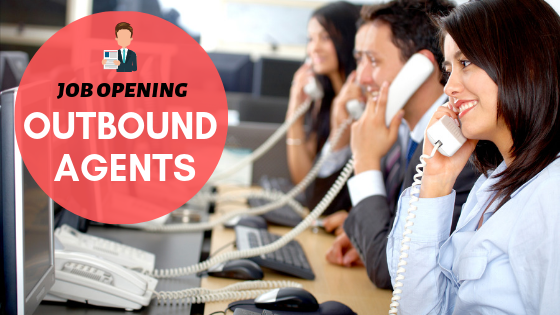 A Call Center is looking for experienced OUTBOUND AGENTS (With Medical DME and/or CGX Campaign Experience). There is NO HARD SELLING required when doing the calls. 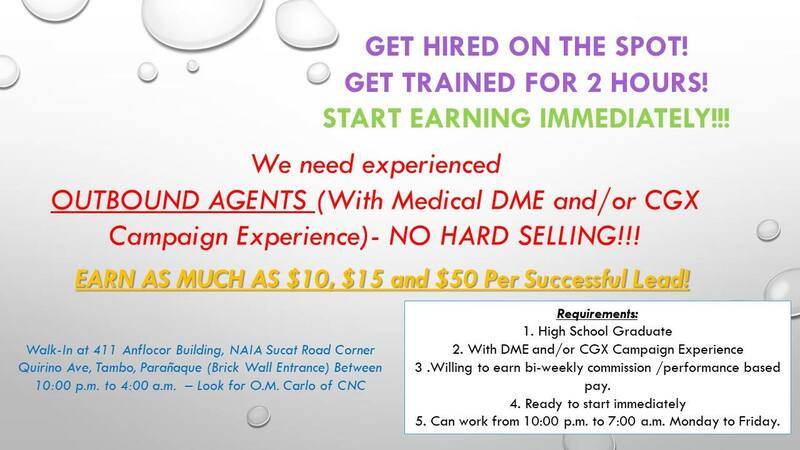 GET HIRED ON THE SPOT! GET TRAINED FOR 2 HOURS! You can earn as much as $10, $15 and $50 per successful lead. Willing to earn bi-weekly commission /performance-based pay. Can work from 10:00 p.m. to 7:00 a.m. Monday to Friday. For those who want to apply all you have to do is Walk-In at 411 Anflocor Building, NAIA Sucat Road Corner Quirino Ave, Tambo, Parañaque (Brick Wall Entrance) Between 10:00 p.m. to 4:00 a.m. – Look for O.M. Carlo of CNC.